Disclaimer (August 28, 2012): The characters and situations portrayed in this series are purely fictional. They are not based on actual events or people. 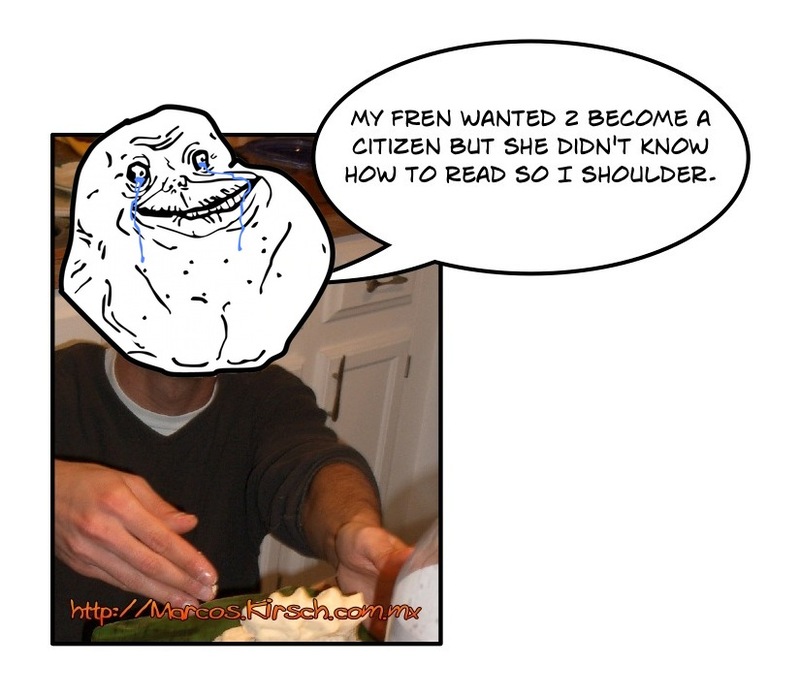 My fren wanted 2 become a citizen but she didn’t know how to read so I shoulder. No sabía que lo Andrés hace con sus palabras se llama “Mondegreen”.